Mark Rosenbach welcomes you to Range Safety! Range Closures - When needed the range/ranges will be closed to shooting. The following list will assist with Range(s) Identification. 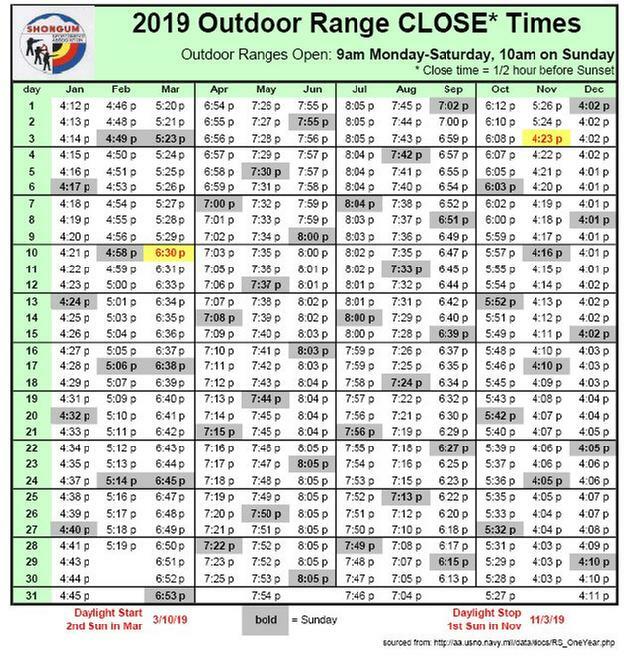 PLEASE OBSERVE THE OUTDOOR RANGE CLOSING TIMES LISTED ON THE BULLITIN BOARD BY THE CLUBHOUSE FRONT DOOR AND ALL POSTED SIGNS! Whenever you pick up a gun, immediately engage the safety device if possible, and if the gun has a magazine, remove it before opening the action and looking into the chamber(s), which should be clear of ammunition. If you do not know how to open the action or inspect the chamber(s), leave the gun alone and get help from someone who does. In the event of an emergency, call 911. For more information on gun safety and standard practices, contact Shongum today. We’ve also provided a number of helpful links on gun safety here on our site. Each activity/league will individually publish SOPs that they will follow during their events. We are also publishing them here because the are an import aspect to safety.